From Ziio's Twilight Collection. 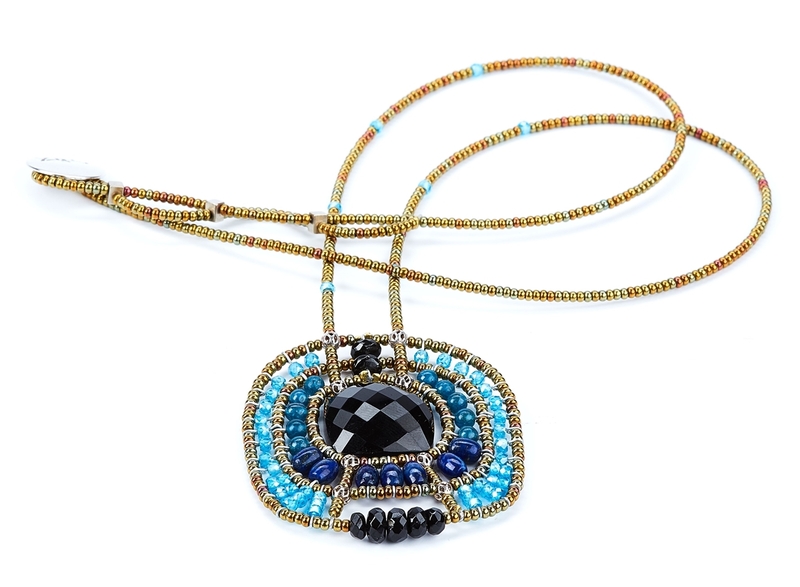 This striking Pendant Necklace has a Black Onyx Gemstone at the center, surround by multi-shades of Blue & Black Gemstones. Turquoise, Lapis, Zircon, Tourmaline, Brass & Murano Glass Beads. Hand crafted in Italy. Button Closure. Length 22" to 24" adjustable. Pendant L 2 1/4" X W 2"